In my neighborhood on Ambergris Caye, we have a great yoga studio, Akbol. The palapa studio has the Caribbean Sea lapping up against the posts as we all move into our poses. And every once in awhile, special retreats show up to share a style of yoga, or in this case, a dream workshop. Twenty of us gathered around this table – to take a dream, any dream of your life, and turn it into a mantra for 2015. Joey Garcia is flat out amazing. Her energy is honest as well as incredibly intuitive. Her leadership and skills moved twenty people through insightful breakthroughs in two hours. And I’m not quite sure anyone was really planning on that. I was just hoping to know more about fly dreams. But with this Mayan knowledge – she was able to help us form a manta for our new year. She was born in Belize and lives in Sacramento. Her relatives, namely her grandfather, are the most respected Mayan people in Belize. Known for their use of herbs as well as symbols, the Mayan tradition lives on in Joey Garcia. There are times when we are driven to fish – even if it clearly is not a logical thing to do with your time. After all, there are bills to pay, work situations that need attention and who even knows what could be going on with home life? Yet suddenly you decide to book a trip to a place you have always loved, or maybe new territory. Or, you pack your truck and head to the river to get lost spending time learning more about your fish. These actions go noticed by our close friends and family. Sometimes our actions are not understood. Now, when someone wants to know why I will be fishing in freezing cold rivers this winter, chasing steelhead, I’m excited to report that I have an answer! 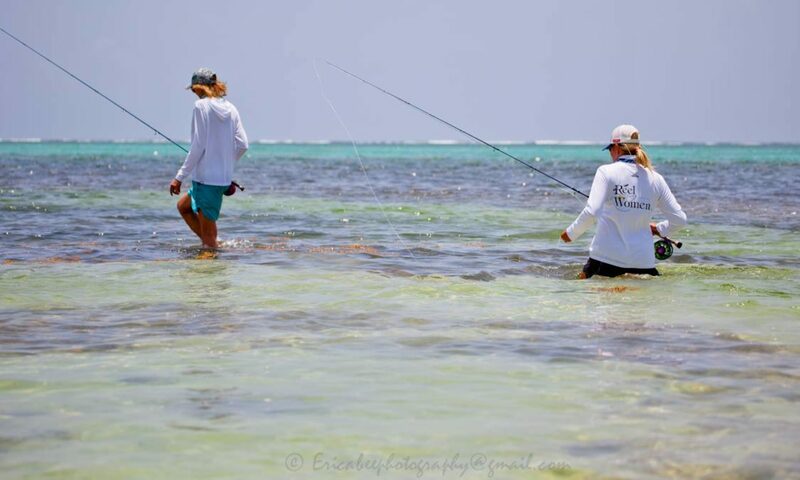 When anglers show up here to fish these waters on Ambergris, they have gone through a bit of this listening at some level. Many questions turn to quiet time. It’s so much fun to see the worry of life wash away with each new fish story. We talk about how important it is to spend time in nature and feel like ourselves again. We breathe a little slower, fuller. We are listening to a deeper part of ourselves. Our “soul’s energy” is that inner knowing, or discovery. Really good guides and anglers do this; they pay attention to their intuition – they let themselves be vulnerable to a voice that takes time to hear. Our neighboring island, Caye Caulker, is home to a woman who drives her life with her soul’s energy. Meet Heidi Curry. She has founded and directs Ocean Academy on Caye Caulker. The high school students would have to take a forty-five minute boat ride over to San Pedro here on Ambergris Caye to attend school. Well, unless the family was really motivated to make sure their child received a high school education, students were lost to idle time and low income work. Heidi and her team opened Ocean Academy in 2008. Ocean Academy is available to all students, regardless if they can pay the $200 BZE per month. Ocean Academy was just honored with UNICEF’s Sport in Education Award. Ocean Academy was selected out of 350 applicants from more than 70 countries. Heidi flew to South Africa with a few colleagues to accept the award last month. I found out about Ocean Academy because I was invited to teach a fly fishing class for Heidi’s husband, Haywood Curry. Haywood is an avid angler and has a fly shop over on Caye Caulker. He loves his fly fishing class! It is because of this class, that six to ten teenage girls and boys stay in high school. Some of them will become fly fishing guides. The guides that stay busy all year can make up to eighty thousand or more US per year. These future guides and students will also have a high school education. 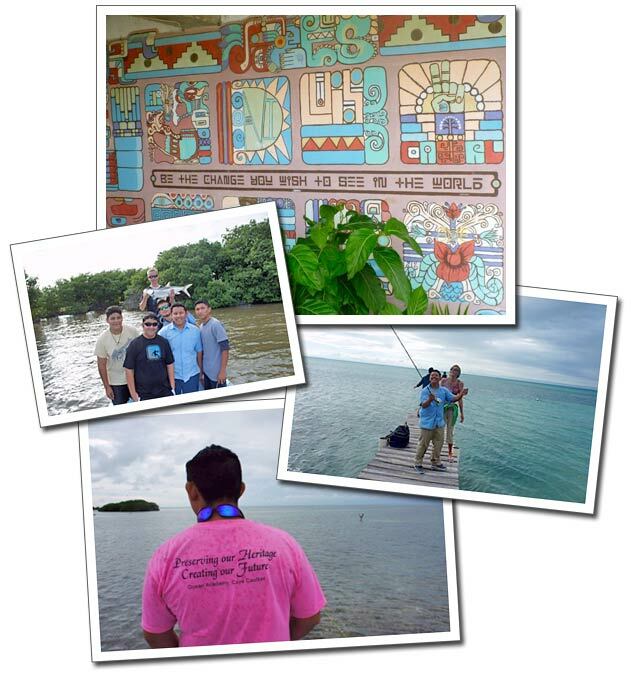 They will be able to articulate how necessary it is to protect their Belizean waters. They will be able to align themselves with people who can make a difference. So here are two women who had no idea that they would be living this inspiring path. Besides being an incredible life strategy consultant, radio personality and, since 1996, an advice columnist for the Sacramento News & Review, Joey Garcia is the founder of Rise Up Belize! Rise Up Belize! a 501 (c)(3) that offers free summer camps and high school scholarships for children in Belize, and free professional development training for Belizean primary school teachers. So here we have two amazing stories about how these women listened to a “higher calling,” and moved with their “soul’s energy.” Because of these two women, high school students have opportunity here in Belize. Please check out their websites for inspiration. And of course, they could use your generous donations. What will be your 2015 mantra? I hope your cast takes you one step beyond your wildest dreams.